Put some lead in your foot and your opponents! 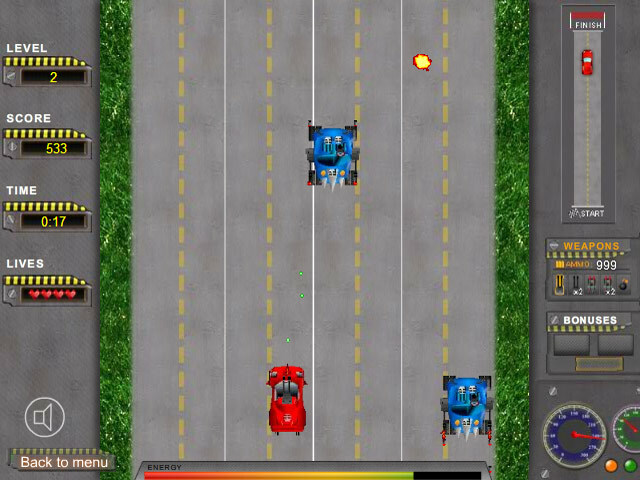 Conquer the highway with speed, weapons, and armor in this thrilling racing game!Gun it in every sense!Put some lead in your foot and your opponents! 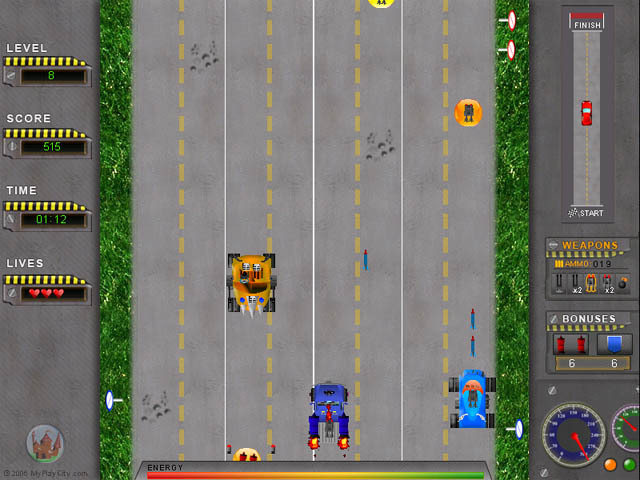 Conquer the highway with speed, weapons, and armor in this thrilling racing game! Win the race by any means necessary! 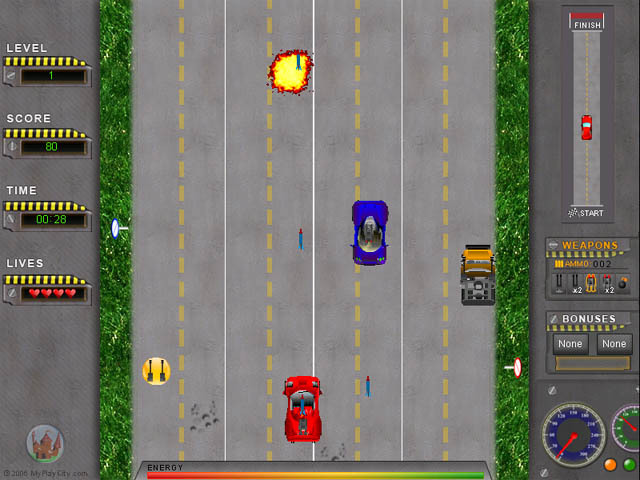 Collect powerful weapons and automotive upgrades along the way to gain an advantage over your well-armed adversaries. Be careful with your cannons though, upgrades are as prone to explosion as the enemy cars. 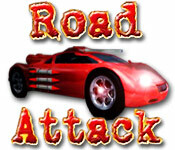 Attack the road with Road Attack!